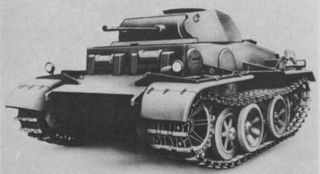 Reconnaissance tank with reinforced armor. 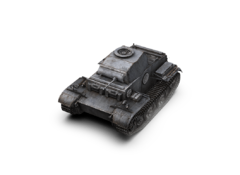 The vehicle was a further development of the Pz.Kpfw II. In October 1939, a preproduction batch was ordered, and the first prototype was built in July 1940. 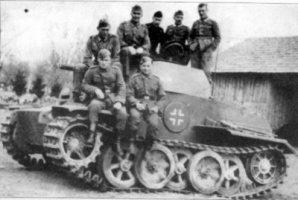 From 1943 through 1944, seven vehicles were used by the 12th Panzer Division on the Eastern Front. A total of 22 tanks were manufactured. This tank was made available through the in game store on Black Friday in 2015, and could be purchased in a $15.99 bundle with just the tank, some gold, and a slot, or in the 49.99 Black Friday bundle. It has also been given away through various community contests and giveaways. In the 2016 Blitz Winter Fair, the Pz. II J can be won through either a Standard or Legendary Chest. Insanely good armor, better than that of the KV-1. Extremely bad penetration (23 on AP, 46 on APCR) means that you will have great difficulty against other heavy tanks. Though many seem to see the Ausf. J as a fun-tank, it can become a deadly weapon in tier III matches. With great armor of 80/50/50, it will be hard for your enemies to penetrate you. You won´t do much damage, but you can spot and take the damage for your teammates, while they, especially TD's, can shoot safely from behind positions. Using APCR allows you to deal with enemies much more effectively, though it becomes expensive very quickly. This page was last modified on 21 December 2016, at 00:41.